BKBC Machinery LLC is one of the Precision group of companies (located in Oak Ridge, New Jersey). BKBC Machinery buys and sells used construction machinery & trucks , and is also the authorized dealer for the entire line of Ray-Tech Infrared paving products in central and northern New Jersey, all five boroughs of New York City, and Westchester, Rockland, and Orange counties in New York. All equipment is put thru our shop for inspection and repair prior to sale. Along with the three other Precision companies (Precision Heavy Equipment Repair Services; Precision Rentals; & Precision Construction Parts & Attachments), we combine to offer our customers quality, reliable, and affordable new and used machinery; complete repair services along with sandblasting & paint for their existing equipment fleets; daily, weekly & monthly machinery rentals; and both new and used parts & attachments. 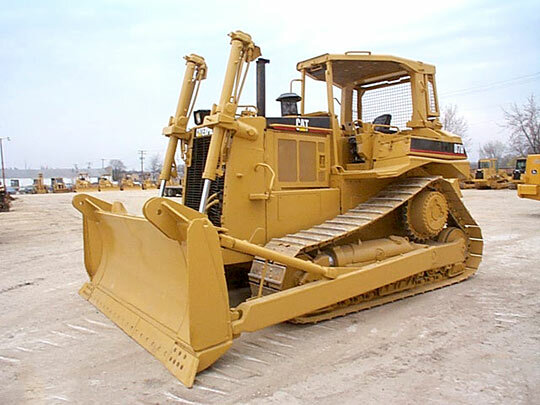 With their facility conveniently located approximately forty miles northwest of both Port Newark (the port of NYC) and Newark Airport; and approximately 200 miles from the Port of Baltimore – BKBC Machinery is heavily involved in the export of used construction machinery. We also containerize machinery at our facility, and transport machines to the port of departure for RoRo shipments. We can also arrange inland freight to any location within North America, and ocean freight to any destination in the world.